Utility Control & Equipment Corporation provides custom control panels and control system integration for customers worldwide. Based in Arvada, Colorado, UCEC employs highly-skilled craftsmen who meticulously assemble and wire panels for the Food & Beverage, Oil & Gas, Industrial Automation, Packaging, Life Sciences and Mining Industries. Their goal is that each panel embodies integrity, safety, fully-robust functionality and intense pride in bringing your design to completion. Since 2013, UCEC and Magnetika have enjoyed a strong, partnership. We provide a team of marketing pros to handle all of UCEC's marketing needs. UCEC first came to Magnetika with a dated one-page website, a logo ready for an update and very little else related to marketing. Mark Inboden, the visionary CEO, was ready to revitalize the control panel manufacturing industry with compelling messaging and innovative marketing. His goal was to transform a "dinosaur" into a modern and dynamic company. Developed a comprehensive messaging strategy to serve as a foundation for a new website and all future marketing communications. Designed a new logo that reflected UCEC's Colorado heritage and strong brand. Created a modern, responsive website in 2013. 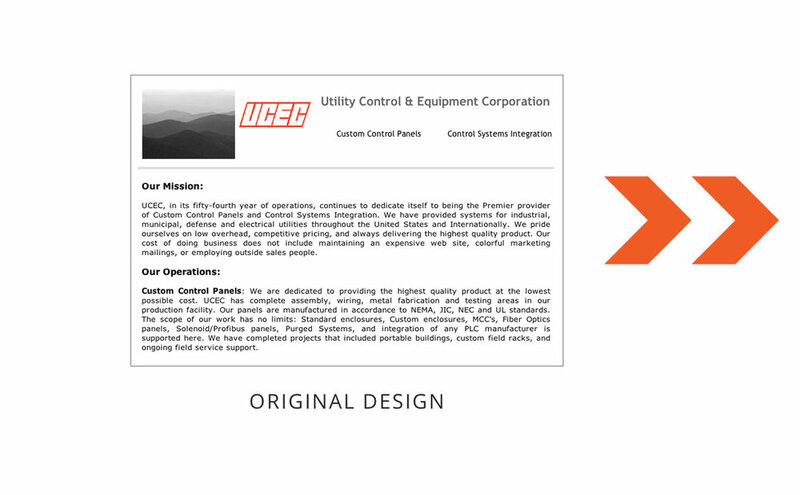 Soon UCEC's competitors took notice and updated their sites to mimic the new UCEC best practice. Launched a major update the the website in 2015 to incorporate video banners and new functionality, raise the bar and leapfrog the competition in marketing again. Developed content for UCEC blogs and social media channels 2-3 times per week. Became the virtual marketing department for UCEC and handle all marketing from marketing plans and strategy, email campaigns, blogging, social media, video production, events and more. 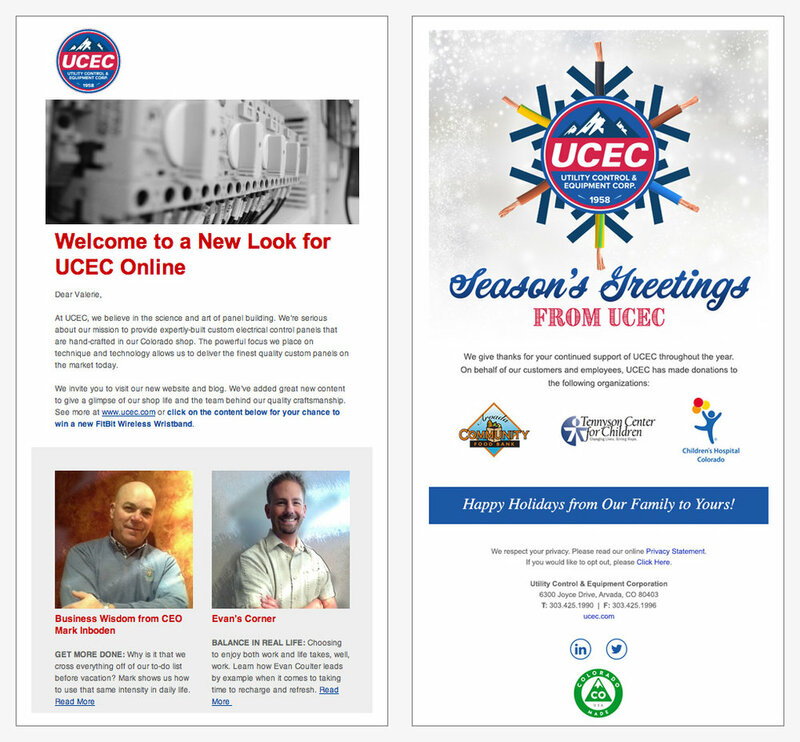 With the fresh new content continuously on the site through blogging and strategic use of keywords, UCEC moved from page 6 in Google organic search rankings, to the number one listing on page 1. Website traffic and qualified new business leads have steadily increased year over year.